Downtown Squamish- walk to the oceanfront! Cleveland Ave- the main street of downtown. This corner site is strategically located in the middle and center of town. 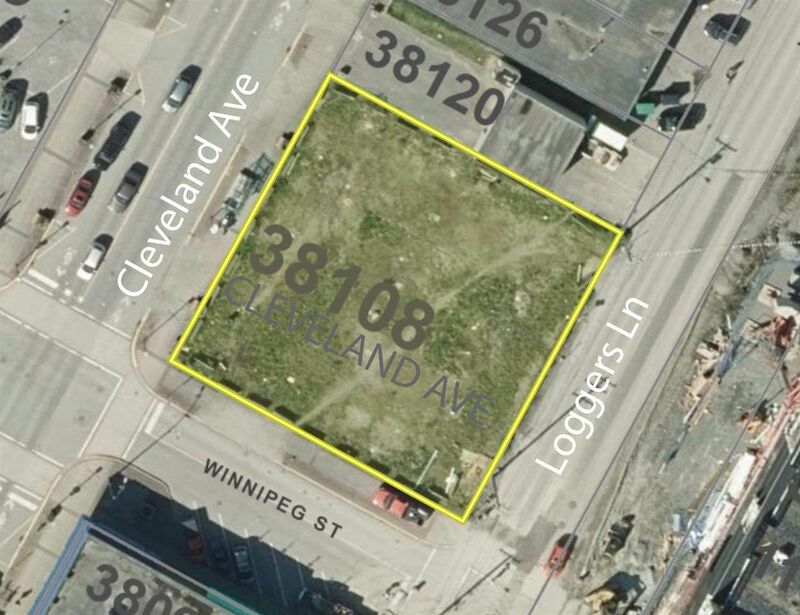 One of the last vacant lots available for development. It is surrounded by several condo projects currently under construction, within walking distance to everything downtown has to offer. There will be water views from the higher floors and main street and loggers lane access for commercial at grade. Act now. This wont last long at this price. Squamish is one of the fastest growing communities on the Canadian west coast. Renowned for its exceptional outdoor recreation opportunities ranked among the best in North America, Squamish offers an outdoor-centric lifestyle second-to-none. A $600 million dollar highway provides for a 45-minute drive to Vancouver or Whistler and multi-modal transportation infrastructure moves cargo to major markets worldwide. Call listing agents for more info.